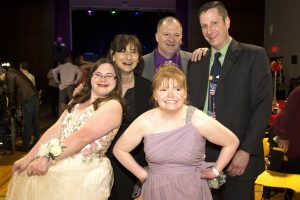 Oak Hill provides programs, services and solutions to thousands of people of all ages with varying disabilities. We have over 124 programs with a broad range of individualized and comprehensive services for children and adults across Connecticut. Oak Hill is a recognized private provider by the State of Connecticut’s Home and Community Based Services Comprehensive Waiver and Individual and Family Supports Waiver. Under this state program, many of the services we offer are eligible for reimbursement. We are very grateful for the dedication and professionalism of the Oak Hill School staff as well as for their attention, thoughtfulness and kindness toward Susanna. You surrounded Susanna with love and were a second nurturing family for her. Call us today at (860) 242-2274, (860) 286-3113 TTY or email us at info@OakHillCT.org. A member of our staff will help you identify the Oak Hill services that are best for you.